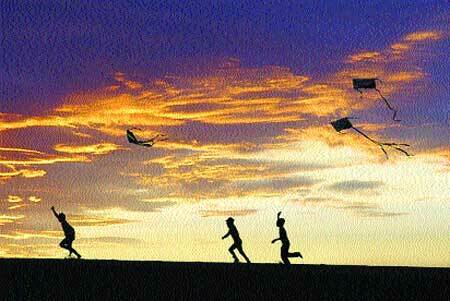 Rural pastime: Playing kites is a traditional folk game of Vietnamese people, especially in the countryside. Suspended for decades, DaiHoang Village's historic kite festival is once again a major event. 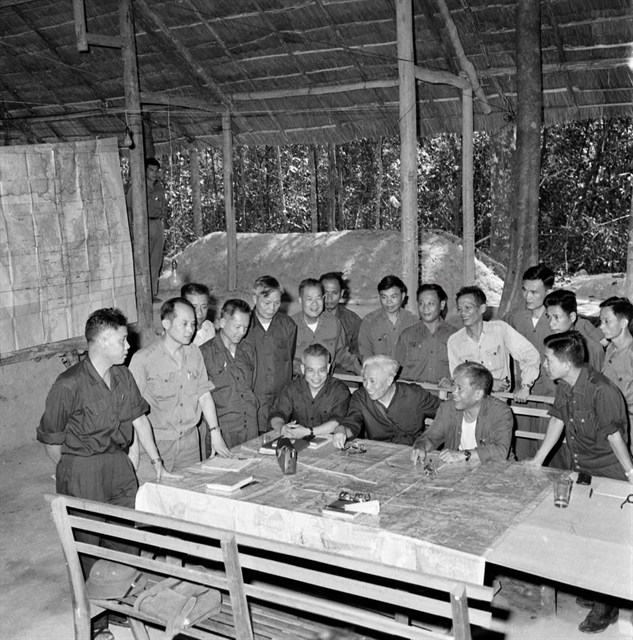 Bui Hoang and Trung Hieu report. Dai Hoang Village in the northern province of Ha Nam is famous for two things, namely braised fish and the Kite Festival. It is an ancient village in Hoa Hau Commune of Ly Nhan District, located on the banks of the Hong (Red) River, just three kilometres from Nam Dinh City. During the time of the Tran dynasty (1225-1400), the king gave this land as fief to an aristocrat named Tran Lieu. Hence, the villagers are mostly descendants of the Tran clan. This is also the birth place of famous Vietnamese writer Nam Cao. The village is said to be the inspiration for Vu Dai, the village that features in his famous novel Chi Pheo which is the story of a man in destitute from a lower social class. Dai Hoang is also known for its famous dish of fish braised in clay pots, which is a most sought-after during the Lunar New Year festival. The braised fish, which has "solid meat but soft bones", is the specialty of this village. Visitors are also impressed by the fish soup served with mixed salad. Whosoever consumes it once will remember forever the soup and the crunchy vegetables that make "Dai Hoang's fresh vegetables" a brand. It is considered an indispensable food item in local parties. More unique is the village's Kite Festival which, perhaps, is the most ancient and unique kite festival in the Red River Delta. The kite-flying contest is held on the 15th day of the 5th month in the lunar calendar every year. It is a time when the local people have finished harvesting their crops. The village holds the event to thank the saints who help them have a prosperous life. It is also a windy period in the area, which helps the kites to fly high in the sky. The ancient festival was suspended during the wars. In 2000, the commune authorities restarted the festival in response to public demand. Tran Huu Sac, 82, said, "Only five kites, representing five hamlets, were flown in the festival in the past. Today, as all nearby hamlets participate in the festival, there are up to 25 kites altogether. "These kites are of different colours and designs such as white and red, with painted wings or belly designs and a circle painted in the middle of the kite," he added. The kites of Dai Hoang are unique compared to the kites of other villages. The kites here have flat wings (other kites are curved) and can fly very high and maintain balance. 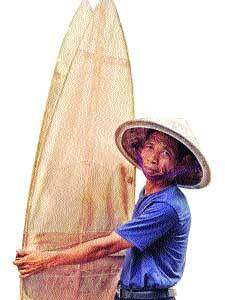 Tran Huu Yen, 77, who has years of experience in making kites (he has won the first prize six times and the second prize thrice during his 13 contests), said, "We make kites according to the old methods. Bamboo has to be chosen from the previous November; the kite has to be rhombus-shaped and be 2-m long. The makers of the kites have to be very smart while whittling the rods gradually from the middle to the tips. It is important to adjust the kite correctly so that it is well balanced and does not wobble when it flies high. We also curve the ends of the two wings by about 1.5 centimetres. Instead of using common glue, we crush persimmon fruit to get resin to stick the kite together." He added that the secret behind the high-flying kites was probably that their bodies are flat, they are very light and have no tails. Yen noted that at the recent Kite Festival of the Red River Delta, the Dai Hoang kite flew the highest and was considered the oldest kite in Viet Nam. 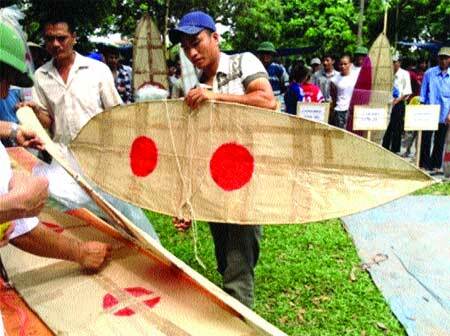 In the past few years, the Kite Festival has encouraged other villages, not belonging to Dai Hoang, to participate. People from the neighbouring villages have also learned how to make kites from the Dai Hoang villagers. The organisers allow each team to fly one kite only (if necessary they may use the reserve kite). The contestants can freely increase the length of their string because the organisers use binoculars to watch the kites (it is difficult for eyes with normal vision to see kites flying above 1,000 metres clearly).